This year, I’m incorporating a planning week at the end of each quarter. 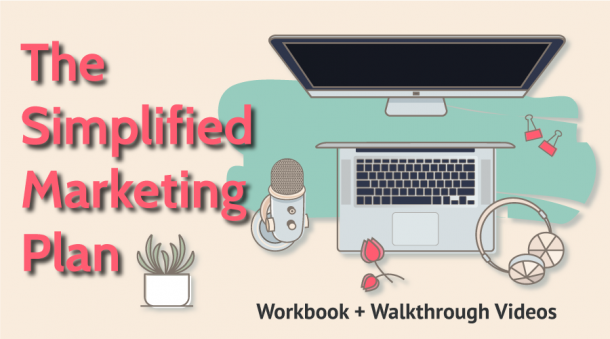 For my planning purposes each month is broken down into 4 weeks, and then for week 13 I take a break from content publishing and dedicate week 13 to resetting my business strategy for the next quarter. 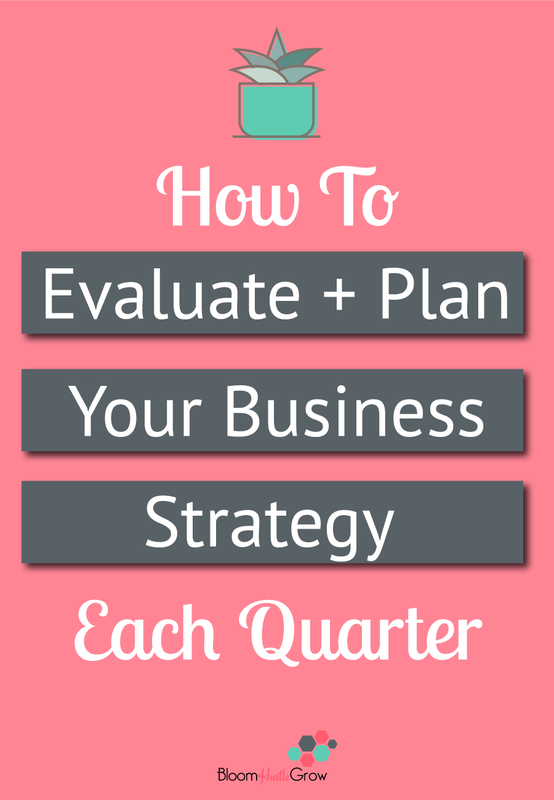 Below are the steps I take to quarterly reset my business strategy. I picked this idea up from reading Big Plan For The Creative Mind; Courtney Johnson from The Rule Breakers Club shared this concept. I don’t know what goes into Courtney’s week 13, so the below is my version (I also don’t know if Courtney takes a break from content per say in her week either). What strategies brought in new clients? What opt-ins were most popular? What social media channels drove email sign-ups + traffic to my website? What content got the most interaction? Which offers sold and why? Which social media channels saw growth (followers or engagement increased)? I read back through my weekly CEO reports. What’s a CEO report? It’s another technique picked up from Big Plan shared by Reina herself. This report is something I fill out at the end of each week. Reading through these notes gives me a good idea of wins/successful strategies, and common issues I’m running into on a week-to-week basis. Read more about the CEO report in this blog post on Reina & Co. I then review my Trello board that I have used for my yearly planning board to see what I might want to address from those ideas that didn’t happen in the prior quarter. 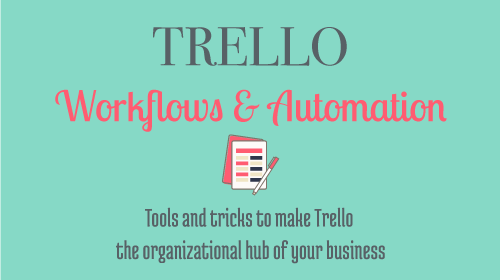 Want to learn my full planning system utilizing Trello? 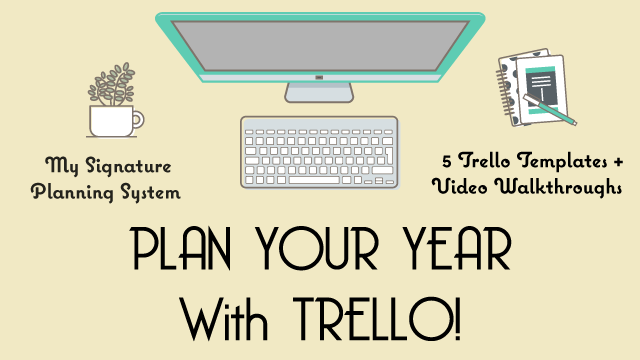 Grab Plan Your Year With Trello, it’s how I keep my business goals actionable and on track throughout the year. You can also get a peek at my CEO reports (which happen weekly, monthly, and quarterly). So after reviewing my prior quarter and identifying what worked, so I can keep doing those things, looking for areas that I need to improve (or want to improve strategy around), and looking for ways to deal with some of my common frustrations that I might have identified; I move into planning. I start with my sales goals for the quarter. If you have multiple offers, it’s best to focus on promoting one or two offers per quarter (that’s not to say you won’t sell other offers but in terms of marketing having a focus is best). The sales goals then feed my entire content strategy. My content will be focused on topics that will lead to my sales focus. I brainstorm topics, decide what opt-ins should be promoted, newsletter + other social media content topics are brainstormed too. Based on what worked or didn’t work in the prior quarter regarding social media, I prioritize my social media channel strategy. Will I spend more time on engagement for xyz channel? Am focusing on growing followers for xyx channel? If so how? What approaches to social media will be different than last quarter? What channels will be used each day/week, what channels will maybe be more maintenance mode? What new strategies will I try to optimize one channel this quarter? Projects are either new offerings, maybe expanding or optimizing a strategy, or anything else that needs to be upgraded in my business. How many projects or what they look like totally depends on you and your business. For example, my two projects this upcoming quarter are: Revamping my email marketing + starting a YouTube strategy. I would recommend focusing on only one or two projects. Listen if you get one down in a week or two, NOTHING stops you from adding on a new project but don’t overload your plan to start. And for my two projects, I’m only focusing on email marketing in April and dedicating May/June to tackle YouTube. What resources am I going to use for personal development or to help me reach some of my above goals/focuses? I have found that it helps avoid information overload to focus my education towards only a few topics a quarter. And it makes sure I’m actually utilizing those courses I’m paying for by preplanning for the time needed to implement what I learn. Since I’m going to be tackling YouTube in April/May, I’m going to be on the lookout for resources that I can dive into in April to get me started. For me, networking is an important part of my marketing strategy. Networking might be conferences, Facebook groups, other paid groups, coffee chats, or other ways of engaging. For this step, I look at ways I want to reach out this coming quarter and set goals around those. It might be applying for guest posts, setting aside time for certain groups, or doing x number of coffee chats. All of the above planning gets all organized and planned out! 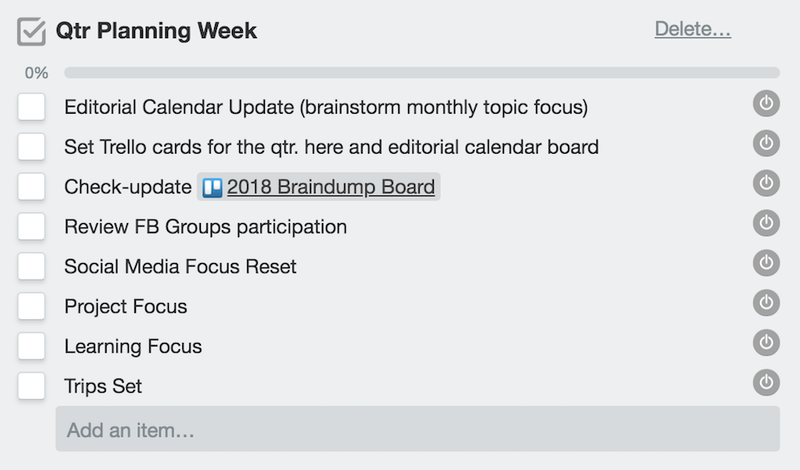 This happens within the following Trello boards “This Quarter,” “Editorial Calendar Board,” “2018 Brain Dump Board-aka year planning”, and my “Social Media Engagement Schedule.” If I was doing, for example, a new offering for my project then I might even start a new board. But for this particular quarter, I chose to do planning for my projects on my “2018 Brain Dump Board”. You can see examples of these boards in this blog post, and I show how these boards work together in Plan Your Year with Trello. I update or document as much as possible about executing what I’ve developed in the planning stage and have a rough timeline for all the above. I also make sure to block off any time I need off coming up for the quarter. Typically I don’t detail plan out more than a month in advance. So yes I have YouTube planned for May/June, and I’ve created some to-do items around getting that started, but I don’t put dates on those cards. Finally, I use any remaining time I have in week 13 to batch create some content. I’ve already brainstormed my topics for my content strategy, and put those ideas into cards on my editorial calendar. It’s time to dig into the work of creating that content. 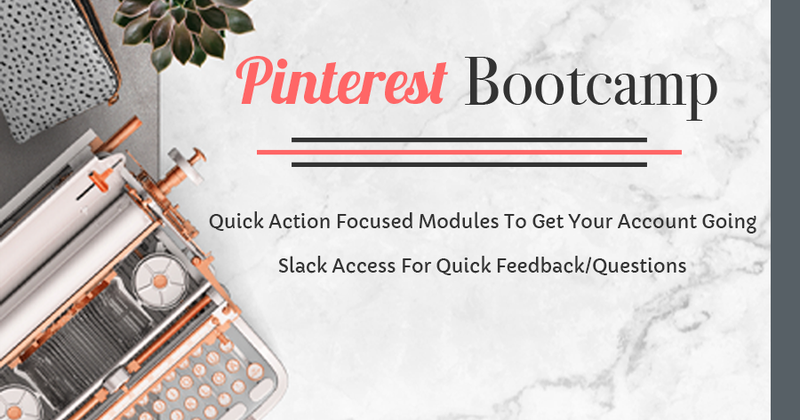 This is a personal choice for me since I’ve found that my content strategy runs smoother if I have my content ready in advance and try to batch it for the month. You might use your planning week to get a jump start on a project or optimizing one of your social media channels. It’s up to you. I love having this week 13 for planning because it provides me space to hit pause from the day-to-day hustle in an intentional way. It gives me the time and mental space I need to pull back and look at the overall picture and recenter myself and my strategy for the next quarter. I’ve learned that I’m happier in my business and with my planning when I give myself a time out to do it in (like my year-end retreat). Unlike the retreat, I did not block off the full week for the above. I worked around my existing appointments and then blocked off one full day + a Sunday afternoon. It’s totally up to you and how busy your weeks are if you need to block off more time.